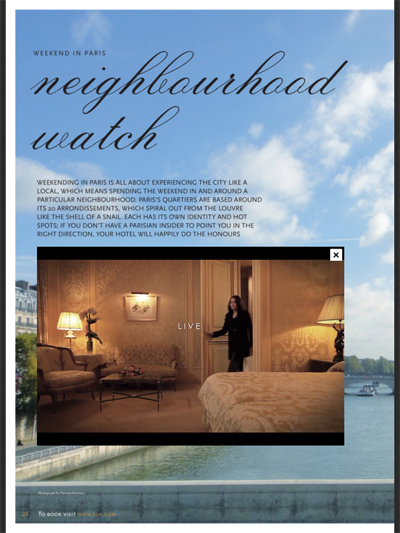 LuxDaily notes: Hotel brands have a variety of location-based marketing options available to draw guests to properties including push notifications, banner advertisements, branded applications and foursquare. Luxury hotels including Four Seasons, St. Regis and the Luxury Collection have used location-based services to bring consumers to specific properties and reward loyalists. Since there are a variety of location-based marketing options available, hotel brands should choose what works best for their brand rather than just copying another strategy. “Location-based marketing is important to many retailers, service providers and well as those in the hospitality industry,” said Walt Doyle, Boston-based general manager of Where, a PayPal service. “Location-based marketing can help hotels target a message or offer to individuals in a specific geographic area based on room availability [and other aspects]. “It can also reach them at the desired time and place to more effectively generate an actual response from the consumer,” he said. 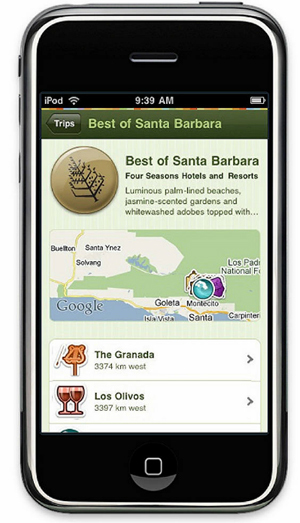 One way to use location-based services is to serve mobile banner ads. Hotels can use flight cancellation data and geo-fenced-impacted airports to drive reservations to specific properties, according to Mr. Doyle. Marketers can also use these services to draw foot traffic to restaurants and bars, targeting both travelers and consumers who live in those cities. Another option is push notifications. Consumers who opt-in to an SMS dialogue with a hotel brand can benefit from exclusives from the marketer. Hotels could use SMS to engage with consumers who are frequent travelers to the area and remind them to stop by the hotel for a drink or to visit the spa. Push notifications are also useful if consumers are in an area to visit for the first time. In addition to inviting consumers to the hotel, it could point out shopping, dining and sight-seeing activities. This is especially useful when consumers have downloaded a hotel’s app. 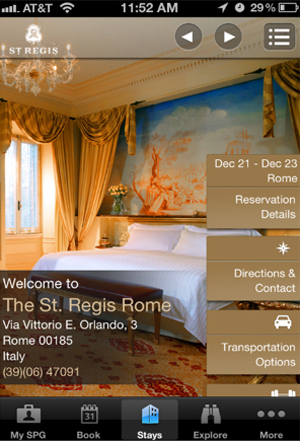 Since the majority of luxury hotel chains have apps, push notifications can be easily employed. For example, Starwood Hotels & Resorts’ personalized “My Stay” interface in its Starwood Preferred Guests app allows fully-integrated booking, member information, hotel searches, travel details, FaceTime customer service and social media. Starting 48 hours before a guest’s stay, a push notification is sent and rearranges the interface to become reflective of the specific brand and property (see story). In addition to branded apps, hotel marketers are using third-party apps to engage consumers via location-based mobile services. 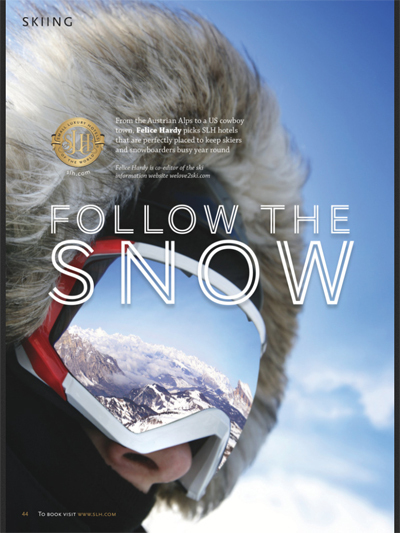 For example, Four Seasons used the former Gowalla platform to curate experiences for customers at locations in California last year (see story). 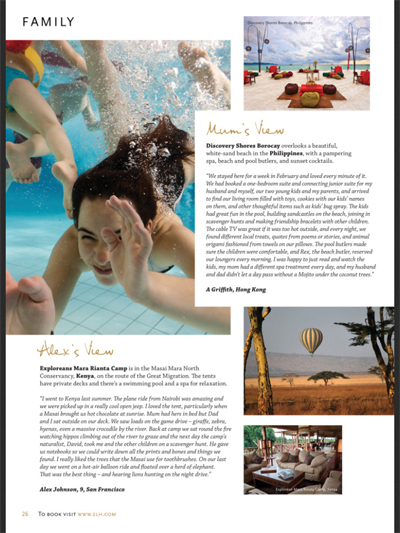 The hotels’ concierges created experiences at venues surrounding the hotel and encouraged customers to visit. If participants went to enough places, they had a chance to win a $100 gift card to the Four Seasons spa at the location. In addition, Starwood’s St. Regis and Luxury Collection properties are rewarding loyalists by offering free points and free-night awards for those who check in to properties worldwide via foursquare (see story). The company is extending a line of communication to its guests by leveraging Starpoints as “social currency” and other prizes. Also, hotel chain Ritz-Carlton is stepping up its customer service strategy by introducing World Concierge foursquare to worldwide consumers (see story). Consumers will receive traveling and city tips from Ritz-Carlton employees for destinations such as Dubai, Miami, Toronto and Berlin by following the company on foursquare. MobileMarketer notes: Luxury hotel and casino Wynn Las Vegas is driving awareness via a mobile advertising campaign in taxis that serves geo-targeted content about popular destinations around town. “Wynn is a luxury hotel brand, so we are concerned with the way that our brand is represented, and the quality of the screen in the cabs is quite good,” said Michael Weaver, senior vice president of marketing at Wynn Las Vegas. The videos also show the resort’s restaurants, shows, nightclubs and shopping facilities. “The concept is to have a screen in front of a passenger when they use a taxi cab in Las Vegas to make the media engaging,” said Laurence Hallier, CEO of Show Media. “Digital gives you so much more engagement with a taxi passenger,” he said. Mashable notes: See what the biggest names in hospitality are doing on Twitter, Facebook, Foursquare and YouTube — and who’s dominating on each platform. Based on their activity on social channels, it looks like Wyndham, Marriott, Hyatt and Starwood have come out on top, but they have some competition, which we expect to increase as social travel really takes off. Have a gander, take your pick and then hop on over to our list of top travel tools to help plan your entire vacation. I’m staying in Las Vegas for a work event this week, and as I checked in to the Cosmopolitan hotel on the Strip today, I noticed something interesting: the check-in counter has iPads embedded in the countertop. You can see a few more shots of the units below — you can’t remove or hold the iPads (obviously), but you can hit the home button, which then takes you to a homescreen with a folder full of “Blocked Apps,” and the standard Guest Services app. The Guest Services app is basically a placeholder of the Cosmo’s web page, but the other apps work — someone had written “Hello Vegas! !” into the notes app. And they’re not just for show — after I gave my ID and credit card to the concierge, he pulled up a screen on the iPad and had me “sign” and approve the purchase with my finger. It was pretty slick. You can check out a few more quick shots of the console units below. We’re seeing iPads in all sorts of places lately — as a cheap and very customizable touchscreen installation, Apple’s tablet can’t be beaten. 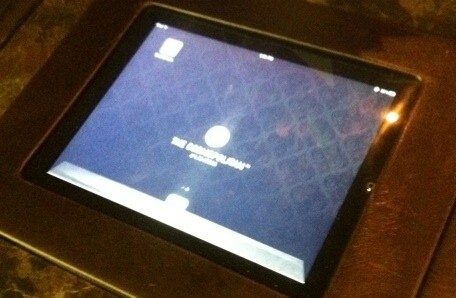 via iPads in the Cosmopolitan’s check-in counter | TUAW – The Unofficial Apple Weblog. Hotel chain Ritz-Carlton is teaming up with American Express to provide affluent consumers special perks when they book stays using the credit card and is marketing this partnership via digital marketing. 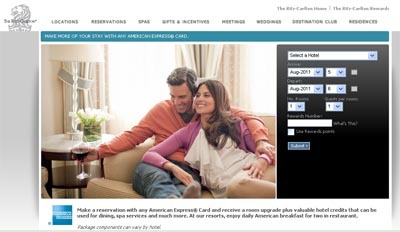 Ritz-Carlton sent out an email describing incentives to book with the American Express card. The hotel is also detailing the partnership on its Web site and providing additional offers to get customers to spend more while at the property. “A working relationship between these two titans is a natural and it benefits both brands,” said Chris Ramey, president of Affluent Insights, Miami. 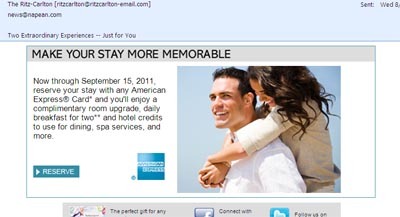 Ritz-Carlton sent an email that promoted the partnership with American Express. American Express consumers who book reservations at a Ritz-Carlton property before Sept. 15 are offered perks in resorts or city properties. Guests who stay in the resorts receive a daily American breakfast for two, resort credit and a free upgrade. Customers who stay in the city properties receive deluxe accommodations, hotel credit per stay and a room upgrade. The room credits for a two-night stay are $50-$100 and a three-night stay for $100-$200 credit. If guests choose to stay in a suite for two nights, they will receive a $100-$200 credit and extending to three nights will receive a $200-$400 credit. Since consumers will have extra resort credit, they are probably likely to spend more money on hotel events and dining. This is probably why Ritz-Carlton included its new spa offers in the same email as the American Express incentives. The hotel has new spa offers focusing on balance, energy and vitality. Guests can choose from two spa offers and will receive spa credit, dollars toward lunch and discounts on retail items. American Express customers are getting a deal at many luxury hotel chains. For instance, American Express is teaming with Starwood Hotels & Resorts’ Hawaiian locations to introduce a bar code in print publications that leads consumers to an optimized site with travel deals at the properties (see story). Rather than using print and mobile marketing, Ritz-Carlton has opted to share the new incentives and spa offers via email marketing and on its Web site. 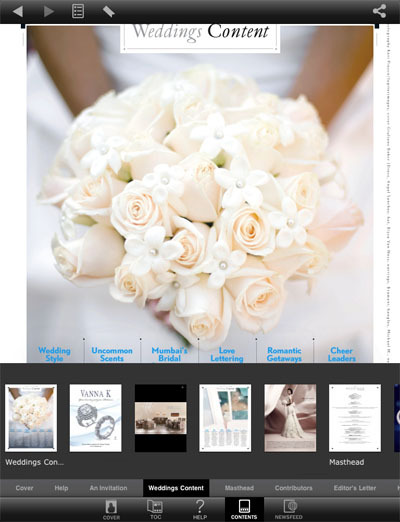 “A program with The Ritz-Carlton elevates the collaborating brand,” Mr. Ramey said. “In this case, the beneficiary is American Express. It makes sense that luxury hotels would try to partner with a company that shares its clientele. Consumers may decide to use their American Express cards at the spa or at restaurants and bars in the hotel because they see a connection with the two. This only benefits both parties. “Hotel rooms are perishable,” Mr. Ramey said. “Every hotelier, even the best of the best, desires to fill their properties with guests that have credit – they spend more money. “The best luxury marketers know to how to leverage relationships with brands that their best or most desired clients are comfortable with,” he said. Data from the July 2011 TravelClick North American Hospitality Review, detailing hotel bookings currently reserved during the period, June 31, 2011 through June 31, 2012, revealed that revenue per available room has shown consistent improvement for the past 18 months. The overall industry average daily rate (ADR) for the same period was up 3.7 percent. The data also revealed that demand for the midscale hotel market is increasing, up 16.8 percent, for the next 12 months. This represents one of the largest and most consistent increases in demand for this market segment since the recession. TravelClick’s North American Hospitality Review also revealed that 3.3 percent more hotel rooms were sold during June 2011 as compared to June 2010. Transient sales – individual business and leisure travel – continued to lead industry growth, as demand and ADR were both up 4.9 percent year-over-year for the future 12 months. Group sales remained soft, improving only 1.5 percent. The data was compiled by TravelClick, a provider of profitable revenue generating solutions for hoteliers worldwide. TravelClick’s business intelligence division provides comprehensive, forward-looking market intelligence to the global travel industry.